My husband is a notoriously difficult man to buy for. He’s a minimalist. He doesn’t wear jewellery other than his wedding ring, and he only buys new clothes when his old ones wear down to threads. So what do I buy the man who doesn’t want anything? An experience. 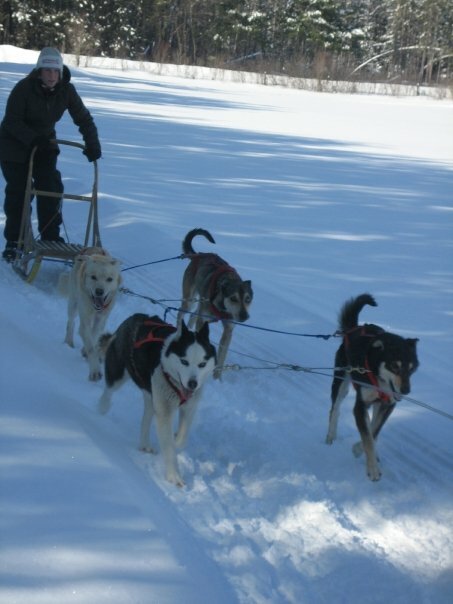 I bought my husband a day of dogsledding. And luckily, he took me with him (Phew)! The day gave me a new respect for the sport and a reaffirmed love for the outdoors in winter-certainly a gift worth giving (and receiving). 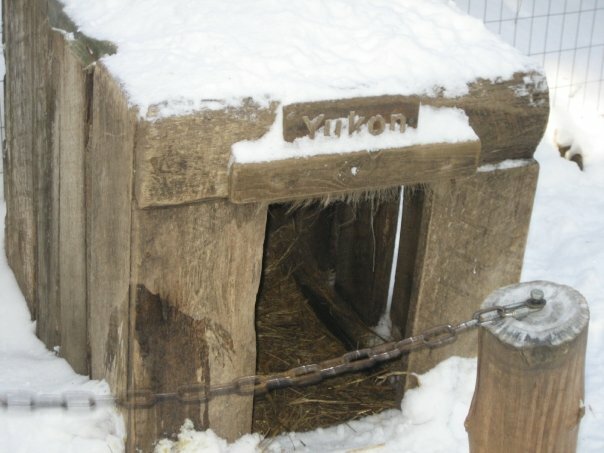 We arrived in Alice, Ontario at a Trapper’s home on a cold and brisk winter morning. New snow had fallen on the property and it was so still and quiet, you could hear your breath freeze when you exhaled. The owners introduced us to their dogs and briefly explained the difference between Alaskan huskies and Siberian huskies (Apart from the difference in appearance, the Alaskan huskies are more the working dog type) and although the dogs live outside, you could smell them from a mile away…definitely working dogs! Also, because they are not “pets”, some of them weren’t too happy to see us, lots of barking and some snarling on top of their houses or huts…but the excitement was tangible-they knew our arrival meant they were about to run-and running is what they are bred to do. After harnessing the dogs and making sure they’re good to go, we were taught the basics of dogsledding….and that, to my disappointment, did NOT include “MUSH!”, but instead “Straight up!” Darn. I really wanted to yell “mush”. I may have said it under my breath…I think the dogs knew what I meant. 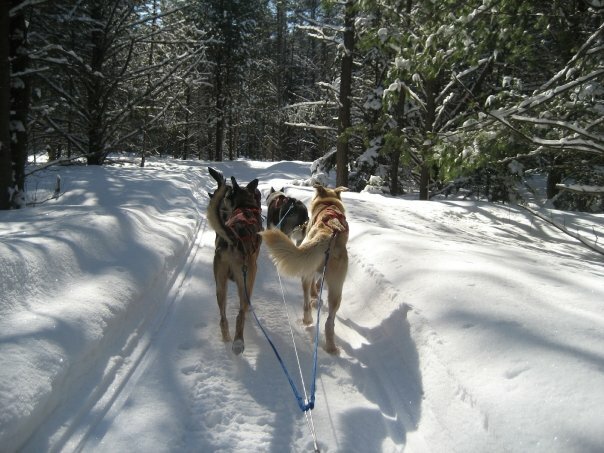 Standing on the back of the sled, the energy of the dogs is contagious as it shifts to your body. You can feel the vibrations and frenzy as you tell them to “GO!” You take a deep breath, lift the brake pedal and hold on tight! They followed a route in the open field to start and once they had warmed up and a couple of dogs were swapped in for the tired ones, we were ready for the forest trails. If I could realistically swap my minivan for a dogsledding team, I would. This has got to be the best way to travel. Imagine the sun peeking through the trees as you bob and weave through majestic pines and freshly fallen snow. It’s quiet, so very quiet, but you can hear the dogs panting and the creak of the sled underneath you. A kind of peacefulness that is difficult to describe. I saw deer running through the forest, wild turkeys wandering and birds flying away at the sight of us…which is fine by me because I’m slightly (ok, incredibly) afraid of birds. But I have to say there is something to be said of the majestic forest of Disney…I mean southern Ontario. You will be outside the entire time. Bring your warmest coat, mittens, toque, scarf and durable boots. Possibly a thermos of hot chocolate (although our hosts were incredibly generous and gave us homemade hot chocolate and baked goodies afterwards-lucky us!). Most important: a CAMERA. You do NOT want to leave without something to remember this trip. And it is a trip! Overall, this is an experience for everyone. 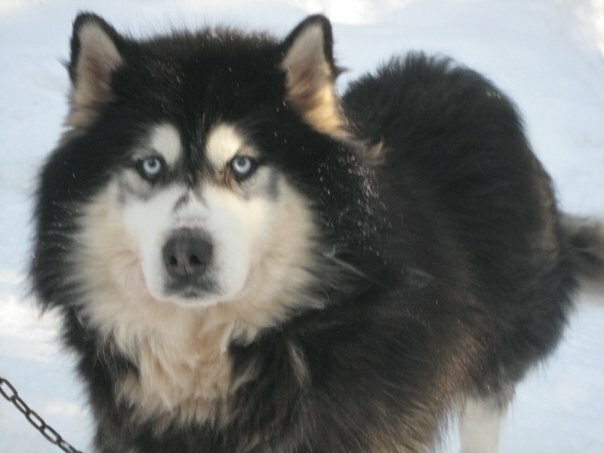 Children, adults, couples, groups…everyone can enjoy some aspect of dogsledding. Adventures can be for an afternoon, a day, a weekend or even a week. Just be sure to wash your coat afterwards. The smell of dog really sticks. This trip was organized by a family run business called “Linked to the Outdoors”, run by Ron and Dawn Linke. I tried to find their website and furnish more details here but it looks like their business no longer exists. 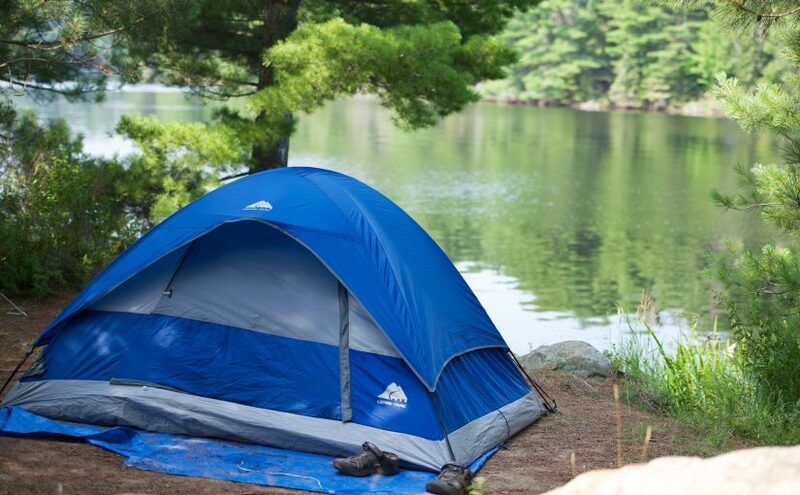 It was located in Alice, Ontario about 20-30 minutes southwest of Petawawa. Loved this article – felt like I was there. Actually I was there a couple of years ago, did experience this – it was a gift to one of my sisters for her birthday and at the same location, near Petawawa. Well worth it! Nice to be reminded.